May I express my personal thanks and deepest appreciation for your presence here today! So many of you have been an integral part of my life and ministry and please be aware of my sincere love for each one of you. 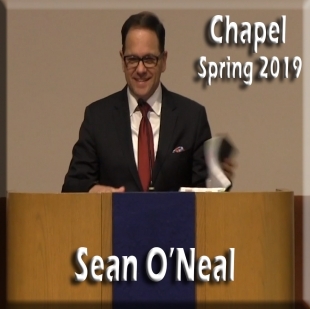 I’m compelled to express thanks and appreciation to the Church of God International Executive Committee and the Pentecostal Theological Seminary Board of Trustees for your appointment, election and approval to serve as Chancellor of Education and President of PTSeminary. Thank you! Please indulge me further, to convey my love and gratitude to Sharon, my wonderful wife and lifelong partner in ministry; also my lovely daughter Kysha, a superb mother and excellent educator; Michael, my grandson and best “bud”; my faithful and caring mother Ruby; as well as, all of my extended family. You are genuinely loved beyond words! Today, I want to share with you a holistic view—a global perspective—of education for the Church and what does this inauguration mean for the future and the vision to move our educational ventures to their next level. Since its early days, the Church of God has demonstrated a Commitment to the core value of “Education” founding the Bible Training School (BTS) and Academy in Sevierville, Tennessee and later moving to Cleveland becoming the campuses of Lee University and the Pentecostal Theological Seminary. Preparing ministers was the focus of BTS, and laid the foundation for Lee and PTSeminary. In 1999, the Church of God Executive Council authorized the establishment of the Division of Education and School of Ministry. As a result, the International Executive Committee took a historic step with the purpose to assimilate Church of God educational assets for an integrated, comprehensive, and cooperative global education system. This action, under the heading Global Education Initiative, begins a process to network and strengthen scholastic endeavors globally, incorporating the existing facets of the Division of Education and the Pentecostal Theological Seminary under one administrative paradigm. 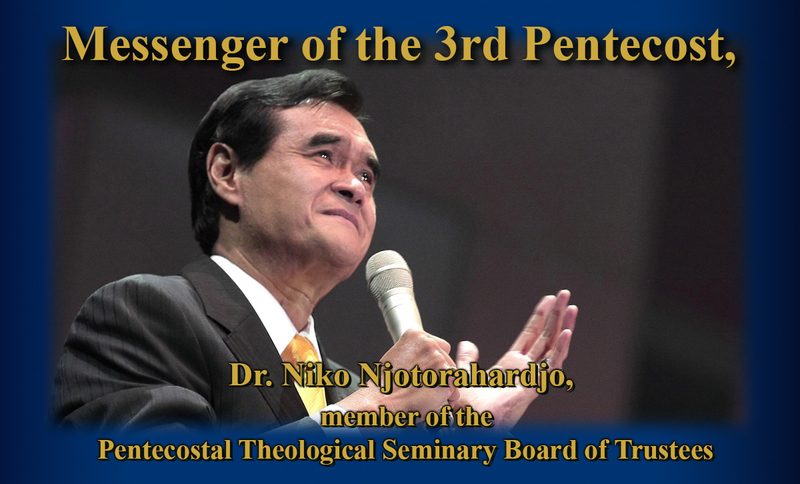 The Initiative called for the merger, enhancement and expanded responsibilities and duties of the Chancellor of Education in the Church of God and President of the Pentecostal Theological Seminary. I am humbled and immensely honored to serve the role of Chancellor and President working together with church leaders and educators shaping a preferred future. While there are two titles, I view them as tools, tools to expedite the concentration of our efforts, maximizing and expanding our Education Commitment. Currently, there are more than 120 Church of God educational institutions that extend around the globe. On every continent, the church has established Bible institutes, colleges and seminaries with the purpose of ministerial preparation and leadership enrichment sharing the Gospel of Jesus Christ to nations and cultures on every continent. The goal of the Global Education Initiative is networking educational institutions and leaders, leveraging our educational resources and creating a comprehensive global team of educational leaders. As we look to the next level of academic engagement, we must be prepared to evaluate, rethink, refocus, and revision education for relevant 21st century ministry. The centrality of the Division of Education is a corporate vision, connectivity, resources, and augmented partnerships—partnerships with World Missions, ministry divisions, local churches, states and regions, nations, world areas, and opportunities for greater fraternal ministry relationships and joint involvement. Our covenant is joining our hearts and hands together, standing shoulder-to-shoulder creating critical ministry mass fulfilling the Great Commission of Christ. The vision of the church is identified as the FINISH Commitment, believing that we can see in this generation the fulfillment of the Great Commission. Let’s contextualize education and our visional task with the acrostic of FINISH. H HARVEST, witnessing Pentecostal empowered disciples of Christ immersed in the FINISH Commitment bringing the Great Commission to fruition. Strategically, the Global Education Initiative is comprised of three components: First, Enrichment, providing educational opportunities contextualized at every level of the church with seminar type experiences; coaching and mentoring network; pastoral covenant groups; next level leadership; biennial education symposiums; research module; certificate program; and much more; Second, Leadership Development, focused upon a practical School of Ministry; ministerial preparation, credentialing and internship; and a full spectrum of educational ministries; and third, Higher Education, delivering accredited degree preparation at the bachelors, masters and doctorate levels. So, what defines the Division of Education? 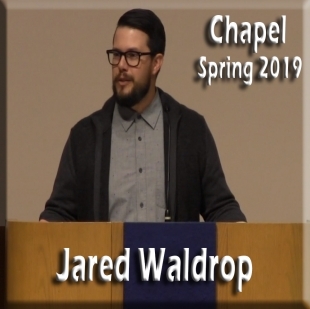 It is comprised of all Church of God educational agencies, institutions, and programs around the world predicated upon a Biblical and theological foundation set forth in the Declaration of Faith. Its objective is to make available certified and accredited instructional experiences to individuals through a coordinated global system. The Division of Education is focused on building a living and dynamic educational organism providing the highest standards for spiritual growth, ministerial development and ministry enrichment. The role of Chancellor will provide catalytic leadership unifying and capitalizing our global educational assets expanding superlative ministry training. 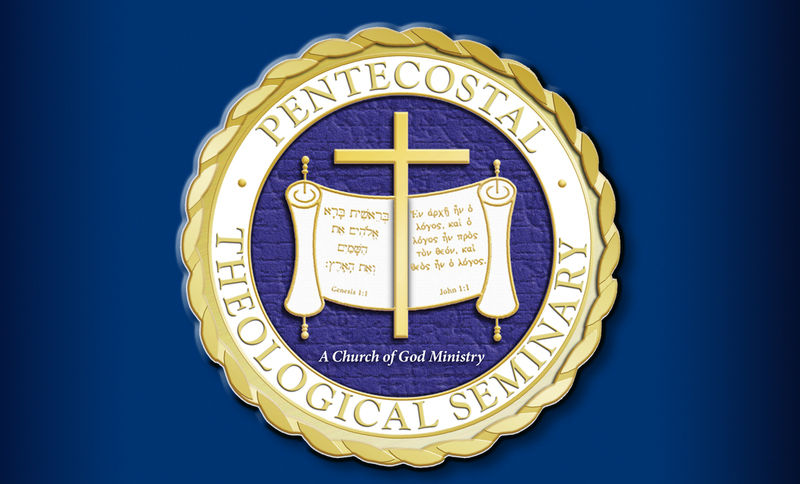 Since its genesis in 1975, the Pentecostal Theological Seminary’s mission is to form, support and resource men and women for Holy Spirit-filled and led Christian ministry. The Seminary is committed to the absolute authority of Scripture and to the Wesleyan Holiness-Pentecostal vision for faith, community, worship and study with theological integrity utilizing methods of discernment, critical reflection and praxis-based education. It is a primary objective that we demonstrate our commitment to the highest levels of excellence in theological education maintaining validity and reliability of our endeavors through appropriate agencies of accreditation. PTSeminary is a place with global dimensions where people unite and gather to expand Pentecostal knowledge and understanding. We now stand four decades since the Seminary’s beginning and must ask the question, “What is the next level for the Pentecostal Theological Seminary?” A tough question for what seems to be tough times! However, if we are to fulfill our destiny, we must wrap ourselves around the concept and push for discovery of tomorrow. Here are some questions to ask: What are we doing right now? Are we satisfied with what we are doing? Where are we in the fulfillment of our mission and vision? What does our vision look like and are we in implementation mode? Do we have a strategy to take us to the next level? Finally, do we want to move to the next level? All are important questions when we look at the future of higher education. We are experiencing variables unlike any in the past. If we actualize the present we see an era of transition and a changing educational landscape. There is a new normal. Today, higher education is becoming broadly secular with little room for faith. Core values are eroding, secular humanism is the norm, economic limitations are evidenced on every side, urbanization is growing pluralism as adherents of different faiths live in close proximity, Christianity is under attack, technology is shrinking the world with instant accessibility and connectivity, and the list goes on. However, I choose to view these challenges differently. I am reminded of the narrative of Jesus feeding more than five thousand as recording in Mark’s gospel. In chapter six, it indicates that Jesus was teaching the people. Then, the disciples come to Jesus and say, “We need to send these people away because they have nothing to eat.” Jesus responds, “Feed them.” The response of the disciples suggests a measure of frustration, “Shall we go and buy bread and feed everyone?” Jesus doesn’t ask them, “What do you need?” Suddenly, he asks a profound question, “What do you have?” Then he directly says, “Go and see.” After their assessment, they return and report, “Five, and two fishes.” Watch this, Jesus doesn’t immediately begin to multiply the bread and fish, but first he says, “Give it to me”, and then, he blessed it. Next comes the strategy, organize the people into manageable groups and he then began to break the bread and fish. The conclusion—everyone ate, were filled, and there remained twelve baskets full. Here’s the heart of the matter, too often we start with the concept of “what we need”. We easily forget what we already have. I have learned through “the school of experience and faith” that if we start with what we have, give it to the God, He blesses it—then—we will receive what we need. So, what do we have? We have people of God with a passion for the gospel, who have shared the Good News message everywhere they go. One of their first considerations was to provide training to build a witness force to continue implementation of the Great Commission. As a result, educational institutions of varying degrees emerged. We literally have hundreds of unknown Bible institutes, discipleship instruction in local churches, and established institutions all devoted to developing believers for ministry. We have identified seminaries, Bible colleges and institutes in Europe, Africa, Latin America, Asia, Caribbean, and North America—literally on every continent. We have premier institutions here in Cleveland with Lee University, one of the most prestigious Christian universities in the world (and we extend to Dr. Conn congratulation on his 30th anniversary at Lee), and, the Pentecostal Theological Seminary, one of the prominent accredited seminaries with the inclusion of Pentecostal in its name. Since its beginning, more than 4500 students from 45 countries have attended PTSeminary with approximately 1850 graduates. Everywhere you find Church of God presence in the world, you will find leaders of PTSeminary imparting transformation. We have committed faculty members to the Wesleyan Holiness-Pentecostal doctrine. We have tens of thousands of churches and pastors touching people and cultures right where they live. We have fraternal partners who have common ministry goals and objectives. What do we have? An unbelievable quantity of Spirit-filled and dedicated believers and leaders. If we start with what we have, give it to God and allow His signet to be placed upon our “haves”, God has promised to pour out His divine presence and power in spite of the obstacles providing what we need! May we seize the moment, the potential to leverage the advent of new technologies and the expansion of existing and emerging educational platforms, equipping global students with the immutable truth. To see this vision move to the next level, we must make assessments of where we are right now. Objectively evaluate what is working and what is not and make qualitative decisions. Are we willing to make necessary changes to better prepare future ministry leaders, or will we limp into the future? Some theological education trains students for the church of the past, not the church of the now and future. Some are simply built to endure, rather than thrive. Let us not be one of those. Let us embrace the philosophical approach of praxis-based education, producing life-long learners, pastors and leader centered on competency outcomes, church planters readied for the task, agents of change equipped to say “why not” instead of “not now”, and the next-generation of resolute leaders filled with passion. Here is one of my concerns. That we retreat to our silos—personal silos of preference, silos of thought, political and territorial silos, and yes, even institutional silos. We must be united as a spiritual team committed to a common mission and vision, shared goals and objectives and cooperative operational method for which we are mutually accountable. We must be an educational team with collective purpose, clear roles, accepted leadership, effective systems and processes, solid relationships and productive communication. Let us eliminate any silos, unite in one accord with Pentecostal fervency and establish a sense of urgency, create guiding partnerships, empower broad-based action, demonstrate culture sensitivity, understand the principle of capacity, and move to the next level. Often we say metaphorically, “What’s onthe horizon?” The horizon is the line at which the earth’s surface and the sky appear to meet. It also describes the limit of a person’s mental perception or experience. Just think, there is always a new horizon, a new edge of something, a new level of encounter. With the future in view, let’s push to see the continuing limitless horizon—seeing the next level with new dimensions and fresh vision transfixed on the brightness of God’s next horizon. As President of PTSeminary, I want to affirm the past and those who have given of themselves as servant leaders (presidents, administrators, faculty, staff, church leaders), heroes of faith and dedicated partners giving sacrificially. 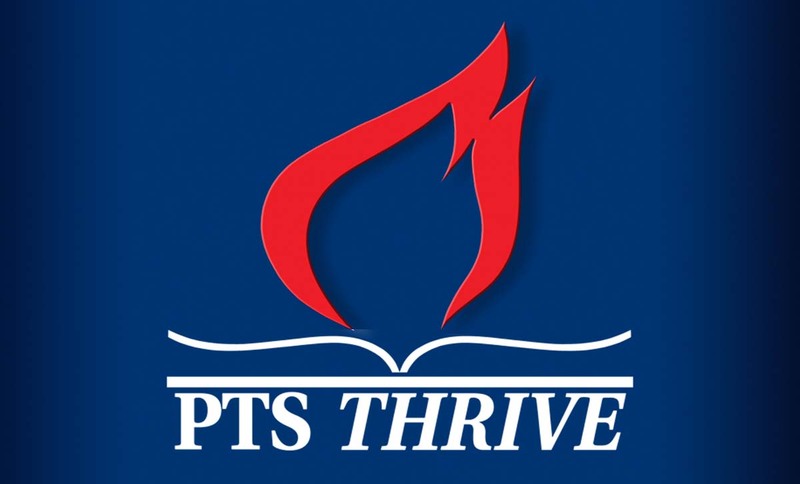 Without their foundation, PTSeminary would not exist. I want to actualize the present, acknowledging those who serve as theologians, scholars and passionate teachers of our Pentecostal doctrine. It is imperative that we affirm the Church of God and its committed leadership for their vision to see education move to its next level; and, fraternal partners who stand with us in unity of purpose. However, I want to encourage you, those listening today to anticipate the future. May our eyes be opened to a fresh and dynamic vision, a new horizon, of going where God wants to take us, knowing there will be challenges but seeing all the possibilities! I believe with all that is in me, God has prepared me for this hour. I am genuinely humbled by your presence today; however, I believe right now is a defining moment for the future of education globally. We should always remember that the steel of our leadership is forged by the crucible of experience. I expect the challenges. I may not like them, but I am ready to face them. I am on a mission! It’s a divine, God-called appointment to see the magnification of educational enterprises around the world for Christ. Daily, I pray for wisdom, knowledge and understanding as Chancellor of Education and President of PTSeminary. I ask you to join with me—personally! WE—every partner in ministry who steps forward and joins the battalion of believers sharing the “good news” with the world. And, WE are on a mission! I ask YOU to join with me moving to the next level shaping a preferred future of education. I simply conclude—let us never forget to exclaim, TO GOD BE THE GLORY FOR THE THINGS HE HAS DONE!